Sunrise of Frisco is a beautifully decorated and up-to-date community. The staff is welcoming and informative. I viewed the meal plan and activity calendar and they were both appropriate, but didn't offer much variety. I enjoyed my tour and I spoke to some residents on the outside patio about their stay at Sunrise of Frisco. The residents spoke very highly of the staff, the facility, and the community as a whole. Many of them said it feels like a family environment, very caring and genuine. My friend had great results after moving into this community. She loved the staff and activities. It was very convenient for her family to visit and always a very pleasent environment. The best way to get to know a community is by scheduling a tour. See the facilities, meet the staff and residents, and get a feel first hand what it's like to live at Sunrise of Frisco Assisted Living. 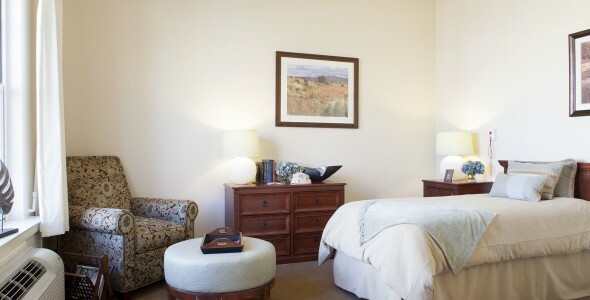 Sunrise of Frisco provides residents all the comforts of home with none of the hassle. We offer many activities, planned outings and physical fitness programs, as well as resident-sponsored clubs to enjoy, all the while creating new memories. Sunrise of Frisco is a part of Sunrise Senior Living. Providing caring services for seniors since 1981, Sunrise Senior Living has become one of the most experienced and innovative providers of senior living services in the world. Sunrise of Frisco offers residents elegantly designed community areas, inviting décor and comfortable seating. A music area is available with an old-style jukebox and beautiful piano for both playing and reminiscing. Accommodations are spacious and offering a welcoming atmosphere where our residents can relax and simply enjoy the day at their own pace. Features include private baths, individually controlled thermostats and emergency call systems. Outside our community is a beautiful gazebo where residents can sit and chat with neighbors and family, nestled within well-maintained and beautifully landscaped grounds. Inside, our bistro and dining areas are the perfect spot to enjoy delicious snacks and well-balanced, home-style meals prepared fresh every day. Professional staff are available 24 hours a day to provide regular laundry service, trash removal and housekeeping services to all residences. We also provide monthly wellness visits by our licensed on-staff nurse to ensure each individual’s health and well-being. Scheduled resident and family meetings keep loved ones well-informed. Alzheimer’s residents take part in our specially designed Reminiscence Memory Care Program, which takes into account every aspect of a resident’s needs and preferences. Here at Sunrise of Frisco, we welcome Texas seniors to come and experience excellent assisted living and memory care.